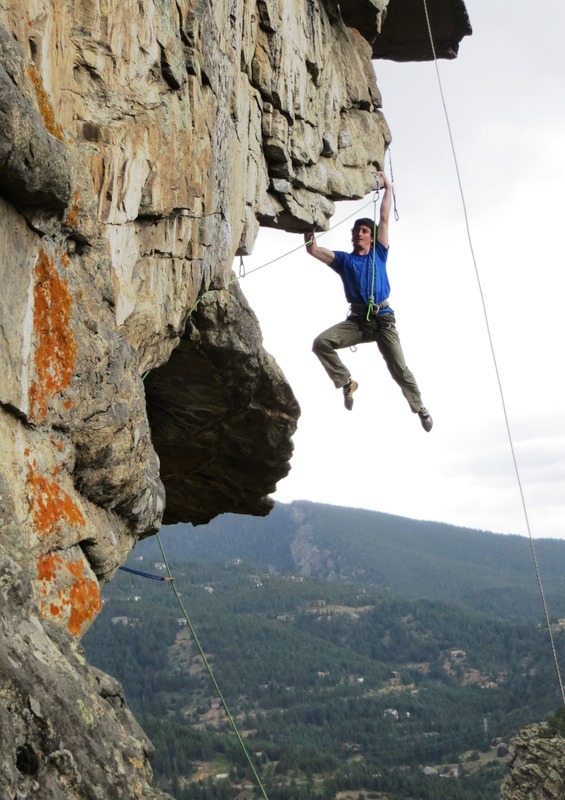 Above all else, Front Range climbing is known for its variety. These mountains and foothills offer a little bit of everything, and climbers of all tastes can generally find something that suits them. However, one style has always been a bit lacking—long, steeply overhanging, enduro jug-hauling. With few exceptions, desperate Front Rangers have had no choice but to endure the weekly Friday evening gridlock pilgrimage to Rifle to get their pumpfest fix. Not anymore. The new kid on the Front Range block, The Bunker, was first discovered over a decade ago, by some unknown benefactor, who ultimately scoped, cleaned and equipped a handful of the most obvious lines. 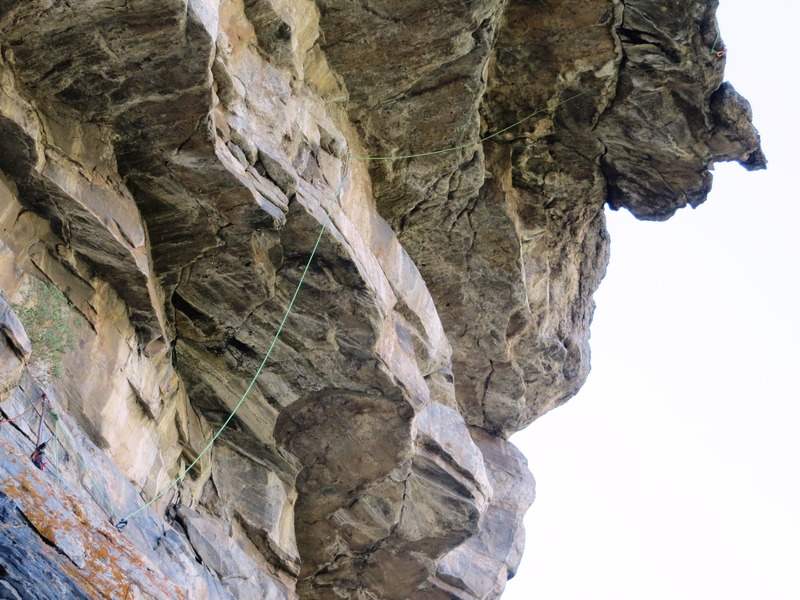 According to legend, these routes were never redpointed, the developer moved on to non-climbing interests, and the crag sat abandoned, waiting to be rediscovered. 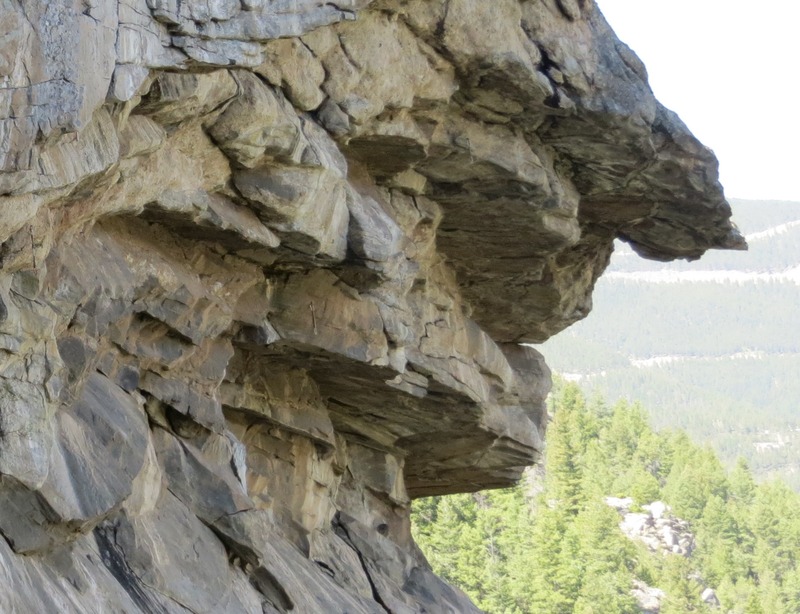 Word about this crag has been passed between locals for years, but for whatever reason, it has garnered little serious interest. This changed in the summer of 2014. I first heard about The Bunker at a Trango Team party at my friend Adam Sanders’ house in the Spring of 2014. Fixed Pin was working on a new Clear Creek guidebook, and during their research Jason Haas and Kevin Capps had heard about the crag and its unfinished lines. They were keen to see the lines sent so their new edition could be as complete as possible. I was keen to score a First Ascent or two without doing the hard work of discovering and equipping the line! By June I had sent my primary goal routes for the season, so I headed up to The Bunker with Kevin to see if I could polish off any of the open projects. I was blown away by the crag from the moment I first arrived. 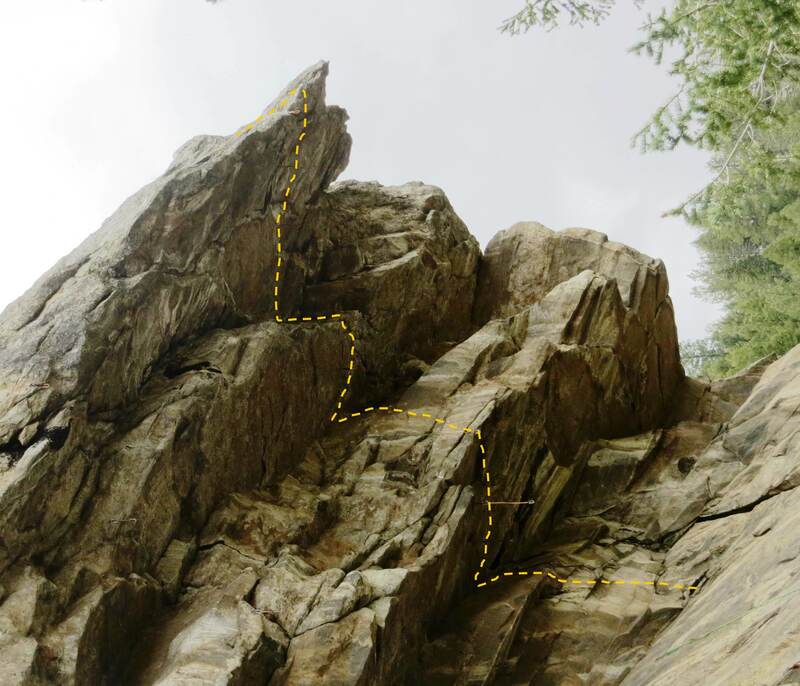 It’s as if a chunk of the Gunks broke free, hurtled across the continent, crash-landed on the north facing slope—tilted to a 45-degree overhang—and was mercifully rap-bolted before the myopic trad-lodytes could stake their “No Progress Allowed” signs. However, it was apparent The Bunker had more to offer than just a good workout. 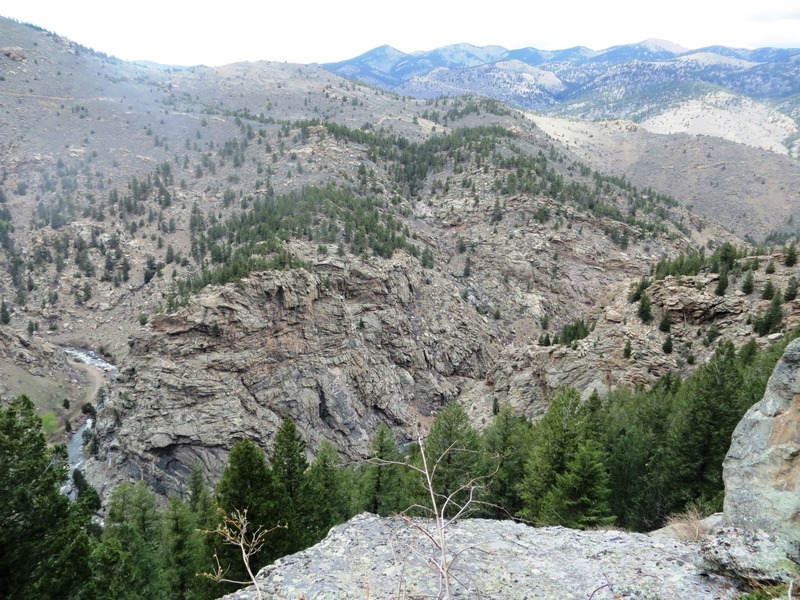 No Clear Creek crag can match its breath-taking position. 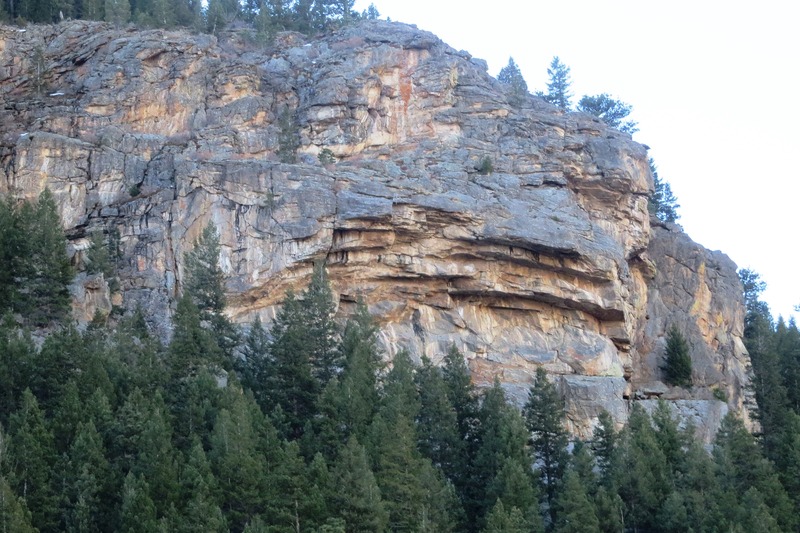 The crag is perched crown-like, literally at the top of the canyon, surveying its mighty kingdom of rushing waters, towering pines, and piercing stones. I’ve long treasured solitude and beauty in my climbing experience, in addition to difficulty, and this was a crag that offered plenty of all three. The view from The Bunker. The massive central cliff is Creek Side. 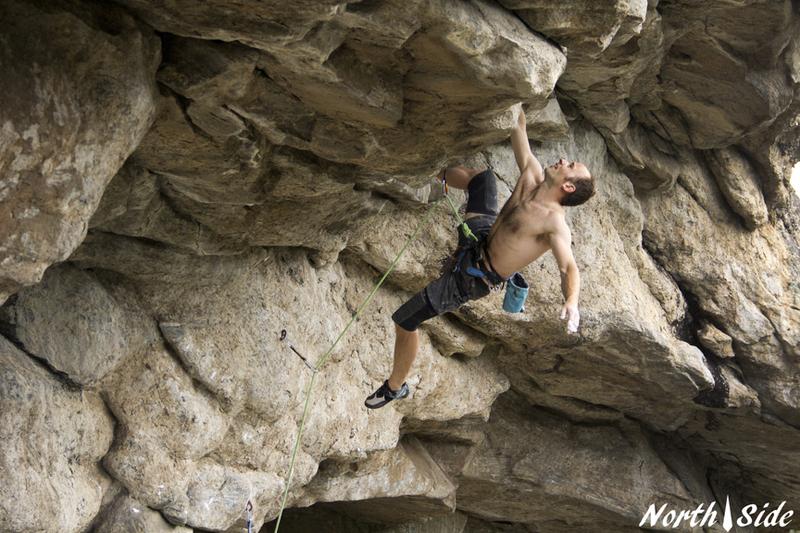 Our primary objective was an open project dubbed by Kevin “Charlie Don’t Surf”, that climbs out a huge, steep dihedral of unbelievable Gunks-quality rock. 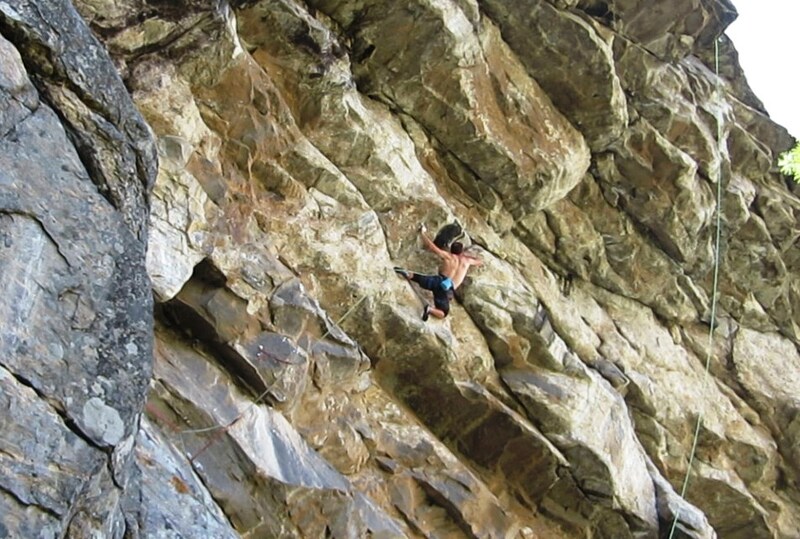 A few people had tried the line, but all were stopped cold by a brutal crux at mid-height. My experience was no better, but while dangling around at the crux, both Kevin and I looked left and spied an unbelievable series of jugs traversing out the lip of the big, listing roof that eventually intersects Charlie’s hanging dihedral. Charlie Don’t Surf climbs the black-streaked dihedral in the center of the frame. Note the large tilted roof that joins Charlie from the left. This would become Apoca Lips Now! I returned a few days later with my drill to equip the traverse, and sent it a week after that, to create Apoca-Lips Now! It was an instant classic, seeing several repeats within the next two weeks, and rave reviews as one of the best 5.13s in Clear Creek. Moments like these are critical to my route development process, because they remind me that not everything that is worth doing has already been done. I tend to assume that with countless talented climbers in Colorado, many of them scouring the hillsides for the next classic, every great route was bolted decades ago (usually by Mark Rolofson, Bob D’Antonio or Alan Nelson and co.). It’s good to be reminded every now and then that a few gems are still waiting to be uncovered. Thus energized, I became completely focused on realizing the Bunker’s full potential. I moved on from Charlie after a few fruitless efforts, to another open project dubbed Full Metal Jacket. This line was more continuous, with a wild roof pull at the beginning, followed by glorious jug-hauling to reach the lip of the cave. Once again I was impressed by the quality of the line. It was hard to believe this sat, fully equipped, for a decade without attracting any serious interest. Now I was totally convinced The Bunker was fertile ground for new climbs, not just those already bolted and abandoned. The stellar jug finish of Full Metal Jacket. Photo Keith North. I quickly bolted the next most obvious feature, an intermittent dihedral system near the previously untouched center of the cave, between Charlie and Full Metal Jacket. I spent the next week working Valkyrie, eventually sending on July 2nd. It’s the longest and most continuous of the hard lines, and second only to Apoca-Lips Now! in terms of quality of movement. Video still of me on the FA of Valkyrie. The 4th was a holiday, and Kate offered to take the kids to the local parade, so I was left to my own devices. The right side of The Bunker is capped by a ridiculous roof. It’s a thin wedge of stone, balanced precariously over nothing, tapering to a knife point as it pierces the Colorado sky. It’s impossible to tell what is holding these megatons of stone in place. Would it hold my bodyweight? Would it hold the weight of a single quickdraw? More to the point—could it be climbed? A closer look at the roof system on the right side of the Bunker. The fixed gear is on Full Metal Jacket and 14:59. To call this line “improbable” would be a massive understatement. It’s simply unfathomable. Initially, I avoided even looking in the direction of this terrifying feature, but eventually furtive glances lead to binocular-assisted reconnaissance. With nothing better to do on that fateful day, I got up the nerve to investigate more closely. I set up a rappel line, said a few Hail Mary’s, swallowed hard, and gingerly worked my way out to the lip, bouncing and pounding the rock as I went in a futile attempt to gauge its strength. Now maximizing my leverage on this frail object, I rappelled slowly over the lip, praying the heap of stone below my feet would not collapse. I was finally able to see under the roof, and to my amazement, the absurd feature had holds, quite a few in fact, maybe even enough to produce a free climb. The rock was generally excellent—a bit dirty, but solid. Over the next 6 hours, my mind bouncing between fatigue and terror, I cleaned the stone, placed the bolts, and the line was born. July 4, 2014, taking a mental break after installing the bolts (my trusty Hilti is hanging from a bolt on the lower left). By this point I had climbed my way pretty far out of shape. I was precisely 8 weeks out from my last Strength workout, and I was a good 10 pounds overweight, the happy consequence of “too many” post-send celebrations. My mind was still psyched, but my body needed a fresh start. That week I did a few dogging burns on the new route in order to get an idea of what I might need to train for over the coming months. I’m not a roof climber. Far from it. My forte is vertical walls with miniscule holds. The further a line gets from that, the more I struggle. This line couldn’t be any further from my ideal. In my estimation, the line climbs, on average, up about 20 vertical feet, and out about 30-feet. I say “on average”, because the roofs are steeper than horizontal, and you actually lose about five feet of altitude climbing out them. 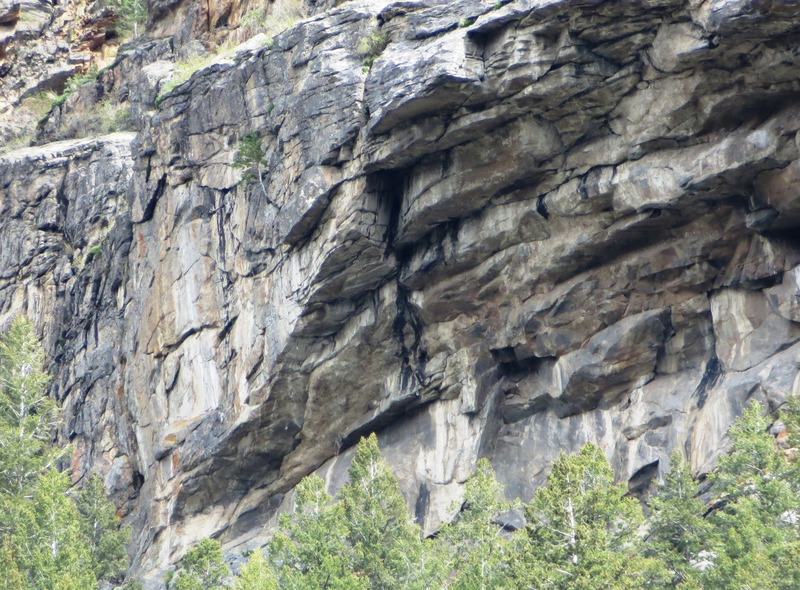 I can’t think of any other free climb in the state that even compares in terms of average steepness or total feet of horizontal climbing, except for a few lines in Rifle’s Skull Cave, some of which are chipped. Born on the 4th of July, fully equipped and ready for action. The business is all “horizontal”, utilizing nearly every trick in the roof-climber’s handbook. The climb begins with a short vertical pillar to reach a ten-foot roof. A fingertip rail slashes half-way across this ceiling, leading to a burly slap to reach a pair of jugs at the lip of this first roof. From here, a few campus moves traverse right along slopers, and then up to an easy stance below the second roof. This seven-foot obstacle is overcome with balance more so than brawn, and leads to a strenuous stance from which you can clip out the last roof, and chalk up one last time. Finally the stunning, core-burning, 13-foot brim climbs noticeably downwards to reach a remarkable set of perfect jugs at the lip of the gob smacking visor. The capping slab is covered in lichen and sparsely featured. My July 2014 recon attempts confirmed my suspicions: I wasn’t good enough to climb this thing. Yet. There were two or three moves in the first roof I couldn’t do, and too many to count in the final roof. I could conceive of doing these moves—I could imagine how they would go and what manner of strength would be required to execute them—but I lacked those attributes. Fortunately I had plenty of time to get better. My fall season would revolve around our trip to Germany, and The Bunker would be inaccessible during the winter and early spring. I put together a plan to improve my core strength and improve my roof-climbing skills, knowing this bugaboo would be waiting for me come summer 2015.